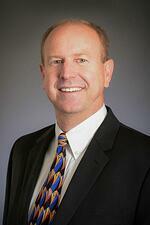 Bruce Frazier has a 27 year career in accounting and management. He has experience in public accounting, and controller and CFO positions for private companies including large exposures to agricultural and co-op accounting. He has also established several businesses of his own including rental real estate and entertainment facilities in Washington State. Most recently, he was the General Manager of a large fruit packing warehouse in the Yakima Valley for over a decade. Prior to that, he was Controller at Matson Fruit. In these roles, Bruce has expanded on his knowledge of accounting and gained competencies in management, technology, employee benefits, and food safety. While working in the fruit industry, Bruce was instrumental in setting up a self-insured medical program and driving a robotic installation on a production line in order to lower costs. Bruce earned a bachelor’s degree from Washington State University. He is a certified instructor in a behavioral management program “Increasing Human Effectiveness”. 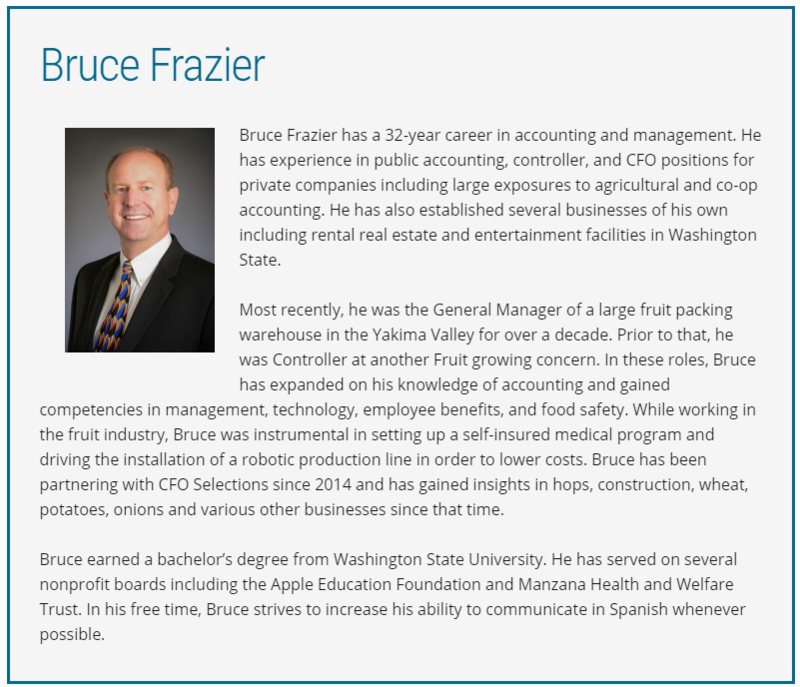 Bruce has served on several nonprofit boards including the Apple Education Foundation and Manzana Health and Welfare Trust. In his free time, he strives to increase his ability to communicate in Spanish whenever possible.